The Asian Art boom is largely driven by growth in the Chinese economy, it is a dynamic and rapidly changing section of the market. Sworders' specialist, Luan Grocholski, one of the country's leading authorities on Chinese and Asian Works of Art, is available to offer our clients sales and valuation advice. The department is headed by Yexue Li, whose experience growing up in China and market knowledge is invaluable. 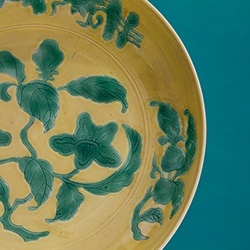 Each year we conduct two auctions dedicated to the sale of Asian Art, which are firmly established in the international auction calendar and coincide with Asian Art Week in London, when many leading dealers and collectors flock to the UK. Yexue works with Luan Grocholski, an experienced Asian Art consultant. 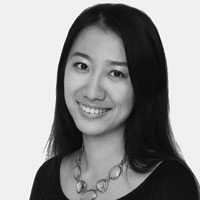 Luan’s vast specialist knowledge combined with Yexue Li’s extensive contacts within mainland China and Hong Kong have contributed enormously to the continuing rapid growth of Sworders successful Asian Art sales. Sworders is now recognised as one of the UK’s leading auctioneers of Asian Art. To find out more about our forthcoming sales or talk further about potential consignments, please don’t hesitate to contact one of our specialist team.